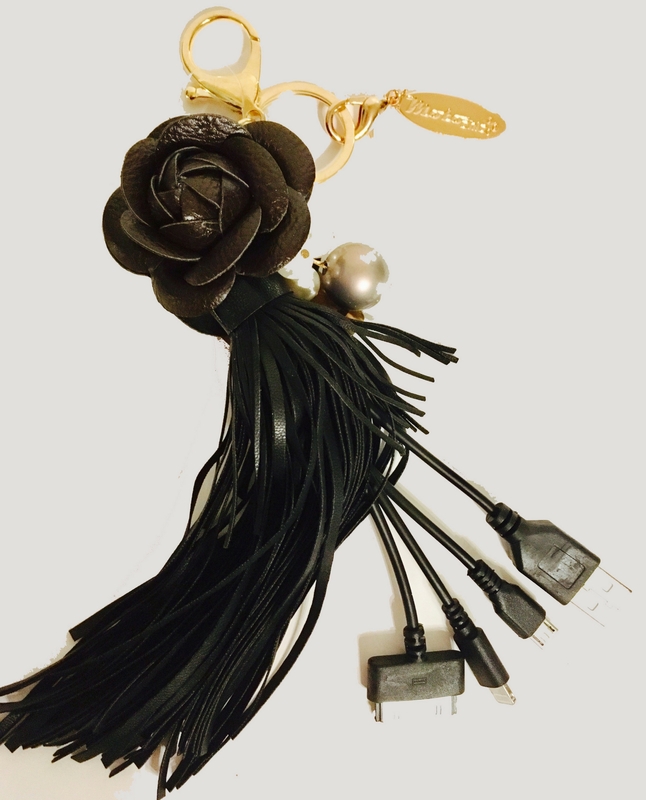 Even your keys will be MotoChic with this delightful rose keychain with tassels and beads that doubles as a purse charm. Fashion meets function as the tassels conceal four charging cords that can be used to help power up your mobile devices. Read more.. Even your keys will be MotoChic with this delightful rose keychain with tassels and beading that doubles as a purse charm. Fashion meets function as the tassels conceal four charging cords that can be used to help power up your mobile devices.